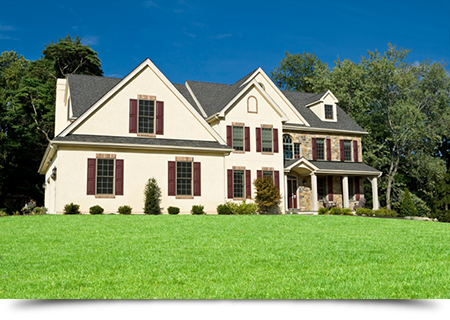 Century 21 Jack Ruddy Real Estate in Dunmore, PA is part of The Real Estate Roundtable. At Century 21 Jack Ruddy Real Estate in Dunmore, PA, we do not believe our services stop after you sign on the dotted line. Listen to The Real Estate Roundtable with Jackie Ruddy on 94.3 FM Saturday at 11:00 am and Sunday at 11:30 am as she discusses real estate topics with various guests. Send any questions you have about real estate to questions@jruddy.com and have it answered on the air. January 12, 2019 What's in Your Well? December 22, 2018 What is Single Stream Recycling? November 24, 2018 Water penetration or condensation in the basement? October 27, 2018 Lackawanna County Sheriff Scam Alert! October 20, 2018 Is that mold in your home? October 13, 2016 Is sump pump failure an insurance claim? September 29, 2018 What is a Shade Tree Commission? September 22, 2018 What is the GLA of Your Home? July 28, 2018 Can I build Whatever I want on my Land? July 7, 2018 House Full of Contents? June 30, 2018 Credit Counseling "Act your wage"
February 3, 2018 Is Your Home Haunted? November 4, 2017 Do you need a Public Insurance Adjuster? October 28, 2017 What is a Public Insurance Adjuster? April 29, 2017 Why Reupholster? February 4, 2017 Orkin Pest Contol, More Bedbugs! January 28, 2017 Orkin Pest Control-BEDBUGS! November 5, 2016 Interior Painting Pointers. September 27, 2014 Orkin talks BEDBUGS! August 3, 2013 Why have an Appraisal? August 4, 2012 Exterminator, Termites, Carpenter Ants etc. October 22, 2011 Marcellus Shale & Gas extraction tax? Call Century 21 Jack Ruddy Real Estate for more information 570-344-6724.
mapping errors, misinformation or misprints. Copyright © 2019 Century 21 Jack Ruddy Real Estate. All rights reserved.